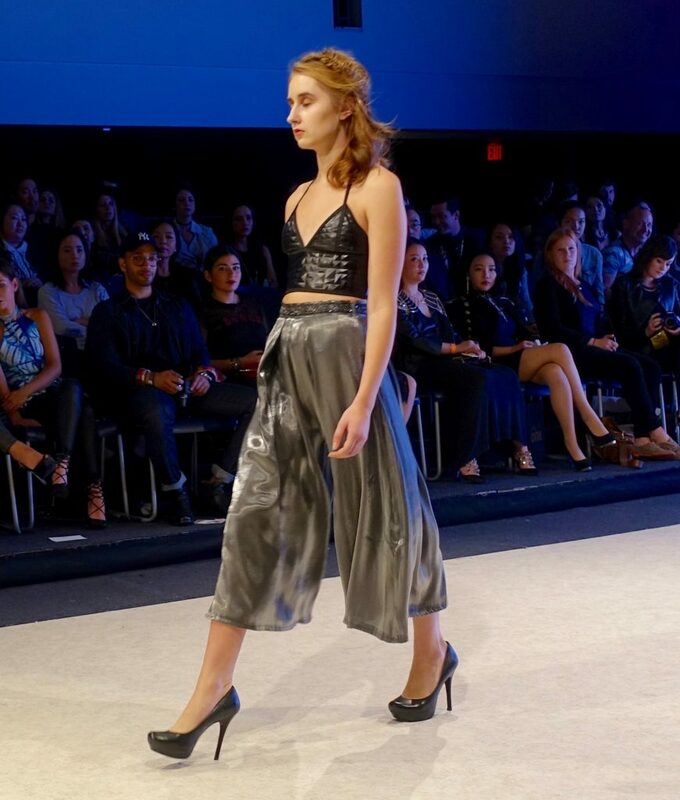 We at the STYLetti were thrilled to be invited to attend Vancouver (Canada) Fashion Week this season. First of all, Vancouver is a global city. More than half of its residents have something other than English as their first language. I can tell you, I loved my visit there; the city is clean, gorgeous, and full of ultra friendly people. 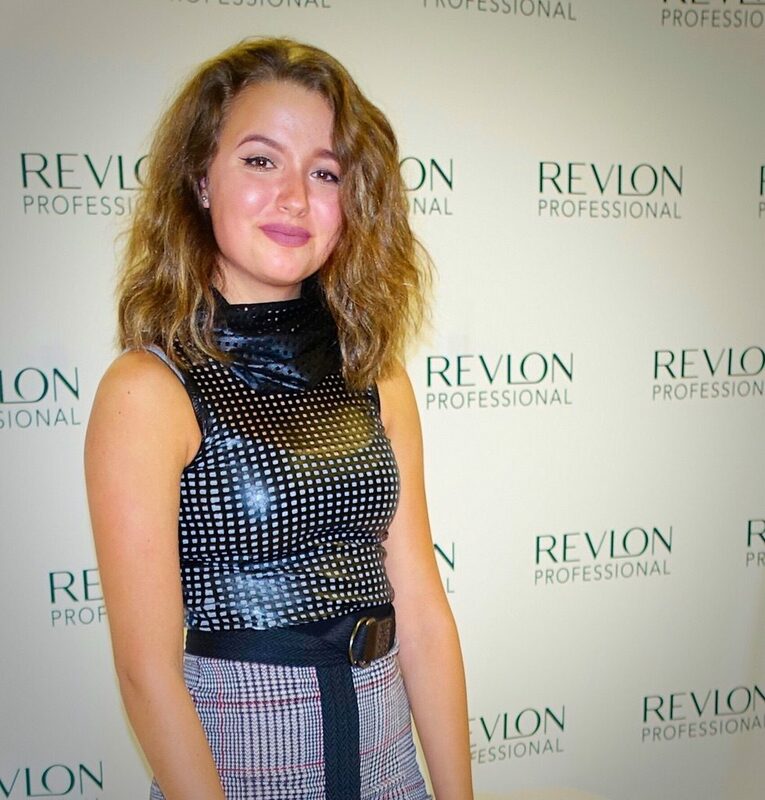 When I got to interview 15-year-old Maya Rene after her show, I was struck by how clear she is on who she is as a designer. She really knows her “girl” (or women for whom she designs). She creates for a young, very sophisticated woman who wants custom pieces for the red carper or other formal events. And that girl is not afraid of being daring, taking a risk, or having all eyes on her. I remarked to her on how almost sculptural her designs are. And she said that she does try to make them interesting from every angle. When asked about her inspiration, she mentioned art and architecture. That includes classical greek and roman marble pillars…. as well as ultra modern architecture, with straight lines and grid patterns. You can see this in her leather mesh skirt. You’ll also notice her love for combining different materials and letting different textures play off each other. Maya mentioned that her pieces are meant for the runway. In fact, that’s where they look best (moving). Very impressive for someone who learned to sew by watching YouTube videos while in the third grade! Maya’s definitely someone to watch out for! And the line is inspired by strong women in general. Bahareh says that it doesn’t matter as much how a woman looks in an outfit, but how she feels in it. 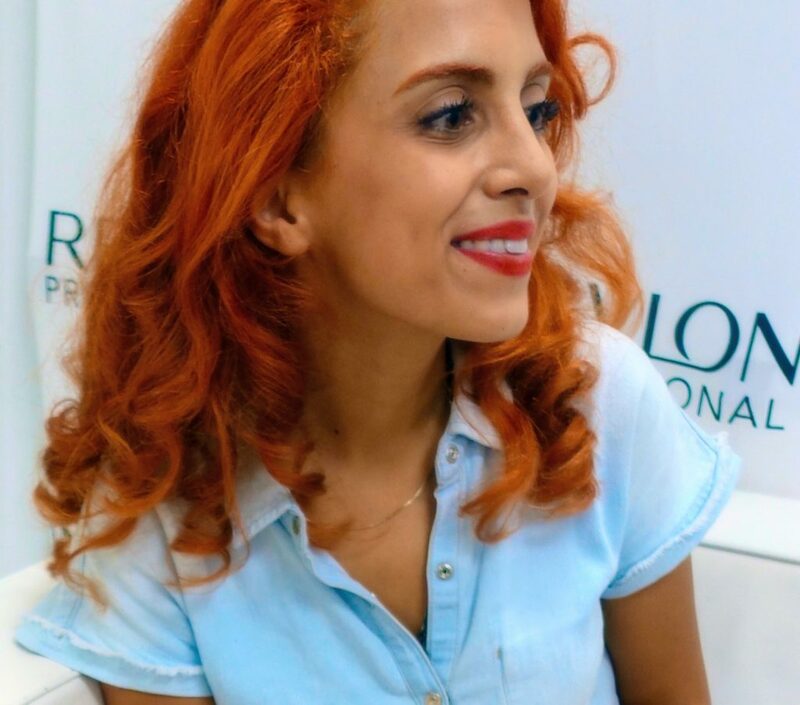 She wants to show women that they can be elegant wearing a cruelty-free alternative. And she uses faux fur fabricated through special processes for a luxurious look and feel. I love the drama of this flared coat (below) with sleeves. It can be worn all the way to the fingertips or the wrists, depending on your preference. I asked Bahareh how a woman would wear the lace leggings. I, for one, might be a bit timid. And she explained to me that with this being her first collection, she let herself dream rather than create everyday clothing. I’m so glad she did! I now see faux fur in a whole new light! And in the northern parts of the hemisphere, fur – especially the guilty-free kind – is a beautiful addition to any woman’s personal collection. I would LOVE to own the one above. I’ll end this mini show with a glimpse of a gown with a faux fur train – what woman wouldn’t swoon over this?! I love the passion and textural contrast (lace and fur) in this collection by an equally passionate designer. And I definitely admire Bahareh for working to promote positive change in fashion and society. I have to say, “Brava, Bahareh!” And congratulations to Maya! 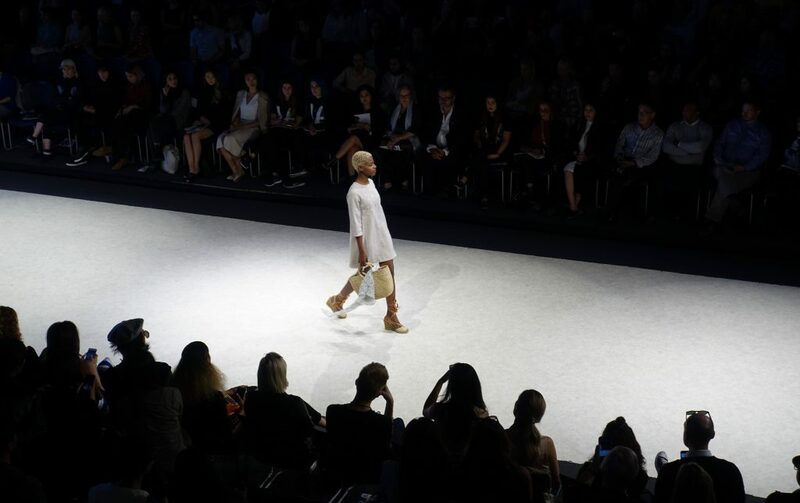 We also want to thank the organizers of Vancouver Fashion Week for allowing us to share their magic with you! Wow, I’m simply amazed and incredibly impressed with these young talents! I haven’t watched Project Runway in so long, so I haven’t watched the spin off with the Juniors. I can honestly say that I would personally wear every single piece of clothing designed by both ladies. The fact that Maya learnt to sew from watching YouTube videos is incredible. I think it must have always been in her because you can’t teach this, you can sculpt and fine tune, but it’s a gift! Thanks so much for introducing me to these ladies, they’re definitely ones to watch! I hope you’re having a great start to your week so far, beauty! NEW POST: NEW YORK TRAVEL OUTFITS & DIARY! NEW POST: BOOK FLIGHTS TO YOUR DREAM DESTINATION NOW WITH KLM DREAM DEALS!!! Thank you for these sights! Gorgeous!